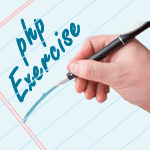 Write a PHP script to compare the PHP version. Note : Use version_compare() function and PHP_VERSION constant. Previous: Write a PHP script to get the full URL. Next: Write a PHP script to get the name of the owner of the current PHP script.